American flags rustle in a light breeze along Main Street this morning after the street was lined with flags in observance of Flag Day. Flag Day is celebrated each June 14 in commemoration of the adoption of the U.S. flag on June 14, 1777. 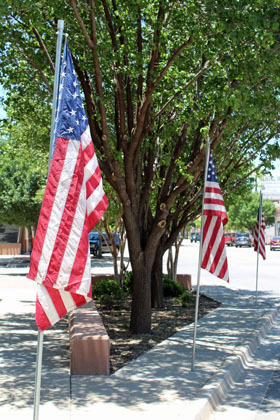 Artesia’s flags are placed by the Downtown Lions Club.